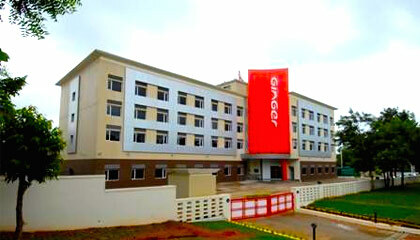 Ginger Hotel is located close to the International Tech Park in Bangalore. Ginger Bangalore is one of the well-known hotels of the �Silicon Valley of India�. Perfect location of the hotel gives an easy access to the IT Hub of the City. Beautifully built architecture of the hotel attracts the attention of the visitors. 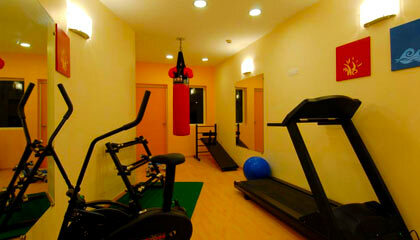 A wide range of facilities are offered to the discerning guests for their convenient and pleasurable stay. The hotel features spacious and comfortable accommodation units with latest in-room amenities required for a memorable time. It forwards various premium business as well as recreational facilities to the travellers. Bestowing modern grace in its every facility, the hotel pampers the guests with warm personalized services and traditional Indian hospitality. 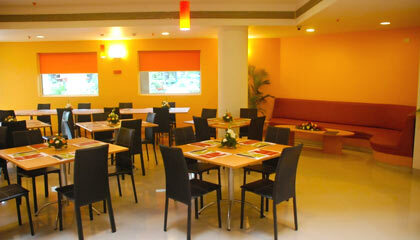 Services offered at Ginger Bangalore assure a comfy stay with cheerful memories. 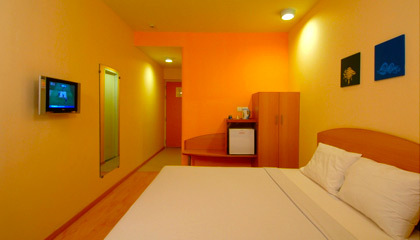 The hotel offers 99 charmingly decorated Single and Double Rooms. 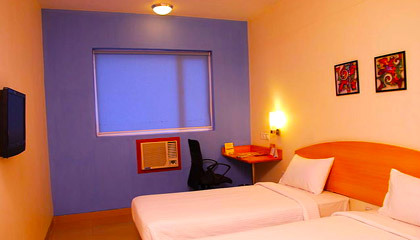 All the rooms are equipped with modern facilities to provide a pleasant stay. Square Meal: A multi-cuisine restaurant serving a range of flavoursome food. 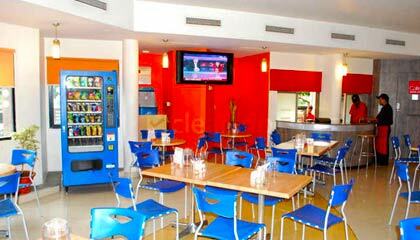 Cafe Coffee Day: Enjoy a cup of hot coffee at this chic coffee shop.